How do you diagram a sentence with a compound subject? Here’s a worksheet to help your youngster learn how to do just that! 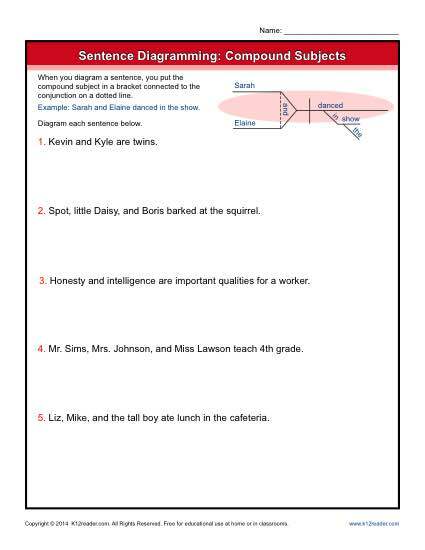 It is a great practice for 3rd grade Common Core Standards for Language, although it may be helpful for other students as a review or drill.